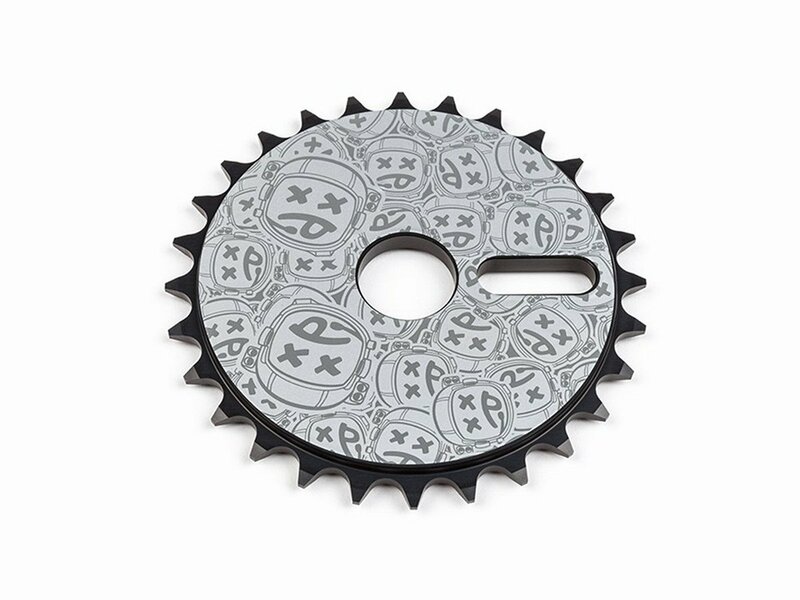 The BSD "Sticker Bomb" 2017 Sprocket comes with 5 different stickers so that you can customise the look of your ride, or just leave the stickers off and go for the old school look. 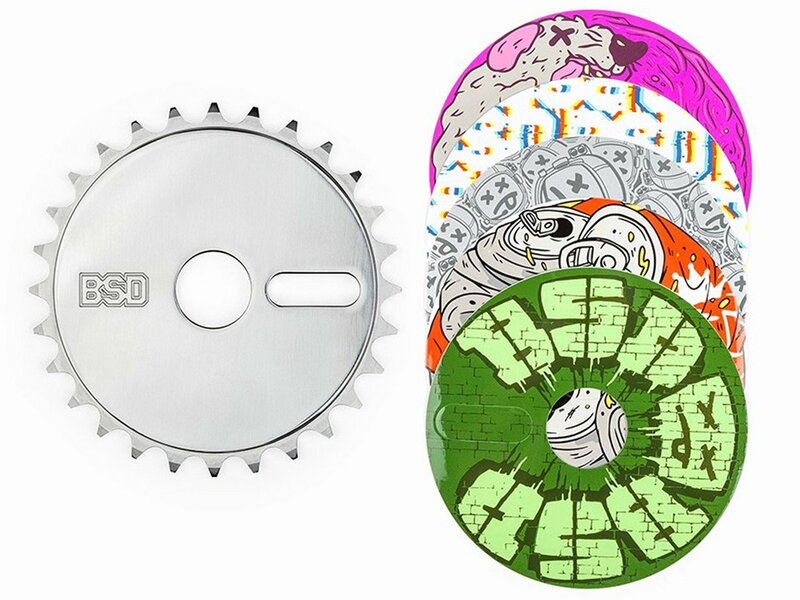 The BSD "Sticker Bomb" 2017 Sprocket is made by 7075-T6 Aluminum and is a fully 3D CNC'd dual thickness solid sprocket. 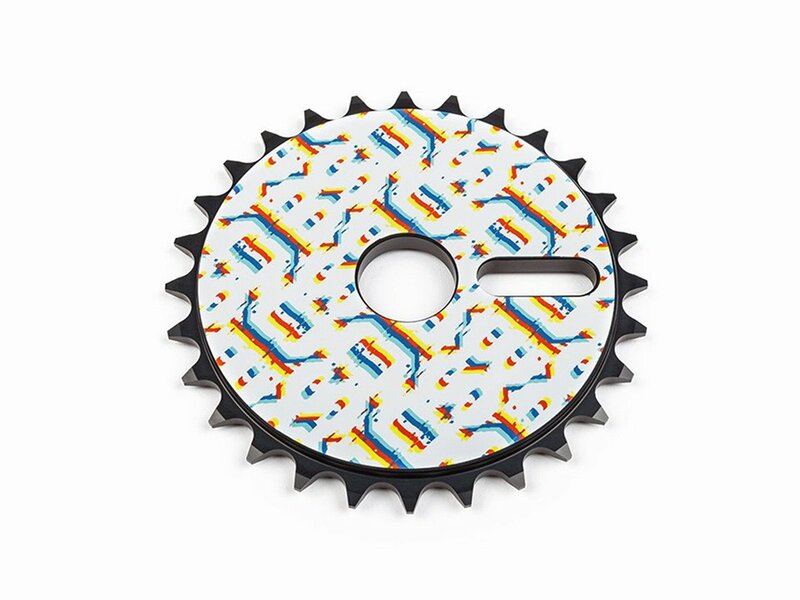 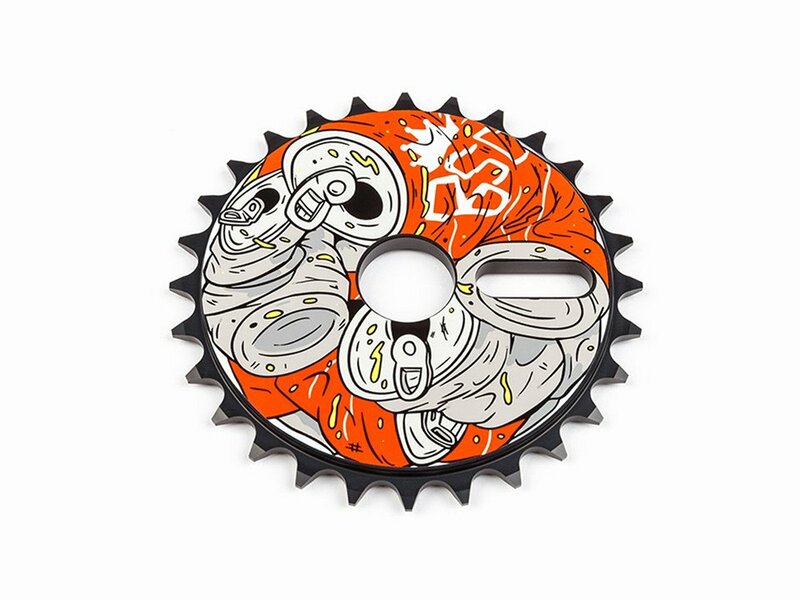 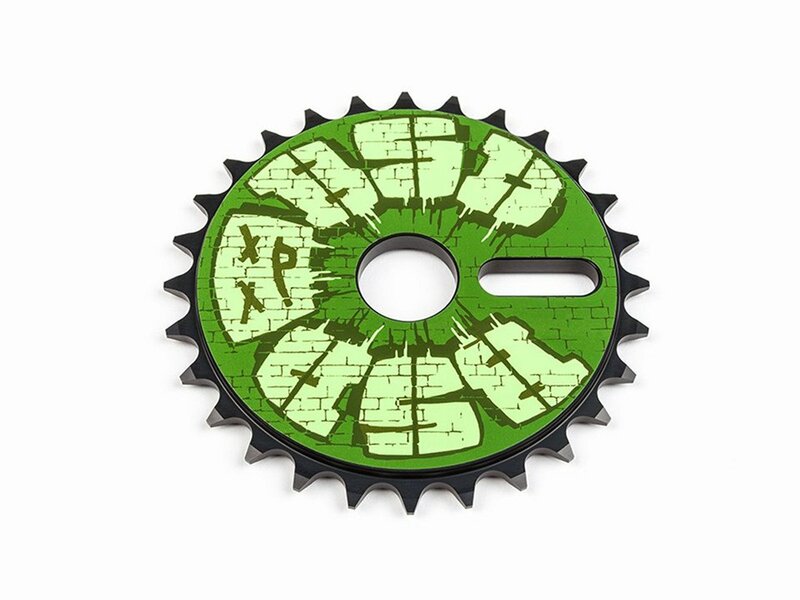 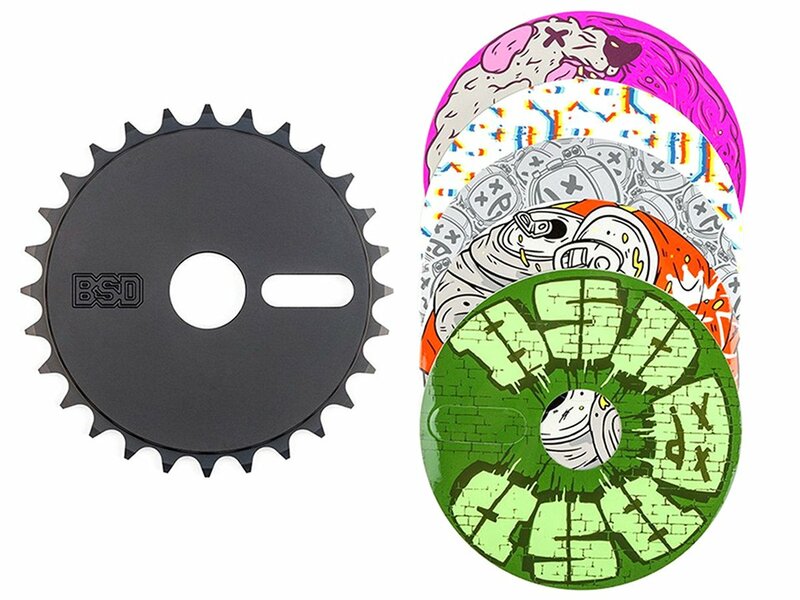 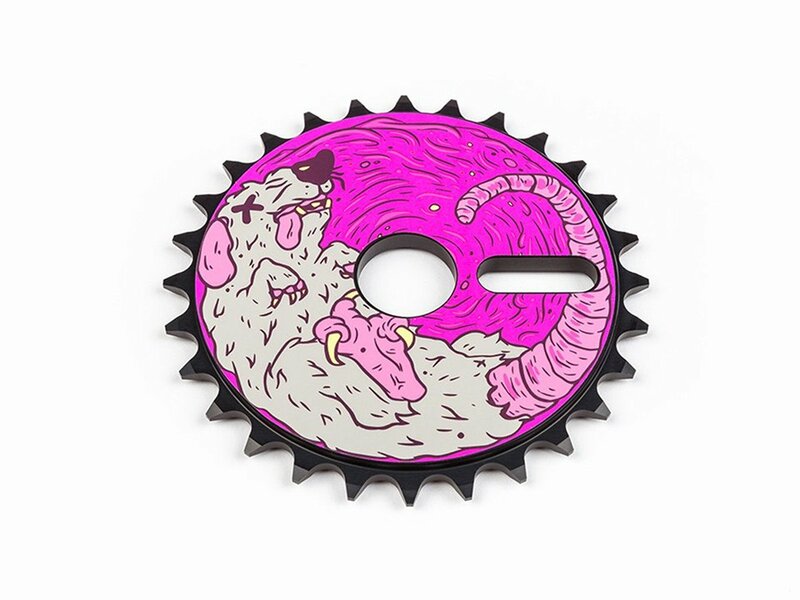 The BSD "Sticker Bomb" 2017 Sprocket has a centre hole 15/16" (ca. 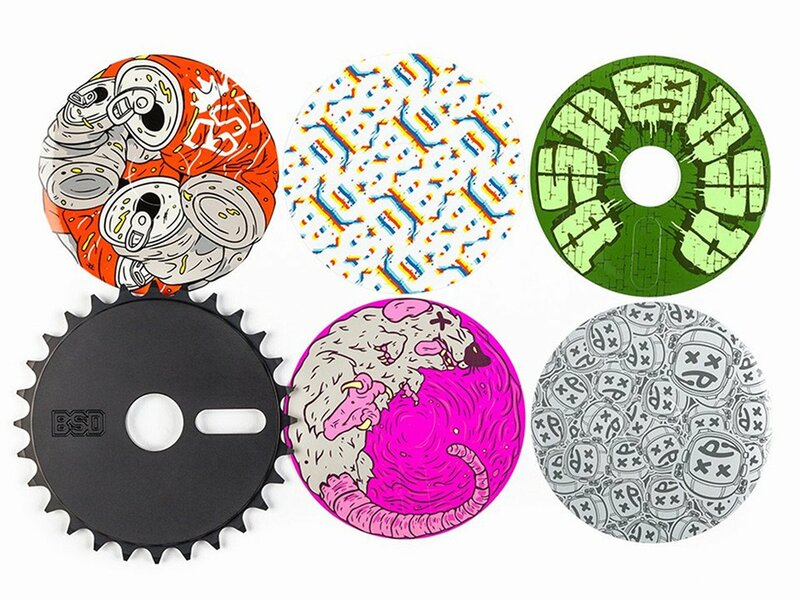 24mm), supplied with both 19mm and 22mm top hat washers to fit most regular BMX cranks.